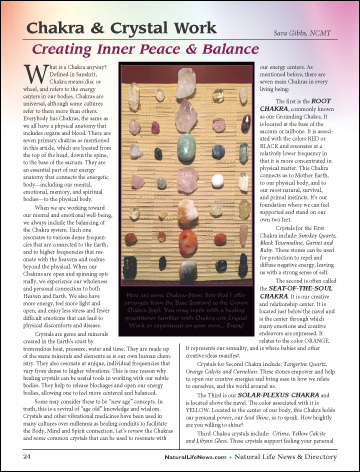 What is a Chakra anyway? Defined in Sanskrit, Chakra means disc or wheel, and refers to the energy centers in our bodies. Chakras are universal, although some cultures refer to them more than others. Everybody has Chakras, the same as we all have a physical anatomy that includes organs and blood. There are seven primary chakras as mentioned in this article, which are located from the top of the head, down the spine, to the base of the sacrum. The chakras are an essential part of our energy anatomy that connects the energetic body—including our mental, emotional, memory, and spiritual bodies—to the physical body. When we are working toward our mental and emotional well-being, we always include the balancing of the Chakra system.